Premium vinyl windows and doors from TrueSource are one of the best investments you can make in your home. Our vinyl replacement windows and doors masterfully combine energy savings and thermal efficiency with timeless style and easy upkeep. Quality-crafted with attention to detail, Revere products combine outstanding beauty and strength with the luxury of a low-maintenance finish. Backed by more than 40 years of manufacturing expertise, it is our company-wide commitment and never-ending ambition to produce the very best building materials - products deserving of our good name and worthy of the place you call home. The Revere family of vinyl replacement windows is built on time-honored craftsmanship and a commitment to quality and innovation. Backed by decades of manufacturing expertise, our windows are designed for the highest levels of performance, beauty and value. Six short videos highlighting the features of the Revere Berkshire Elite window. 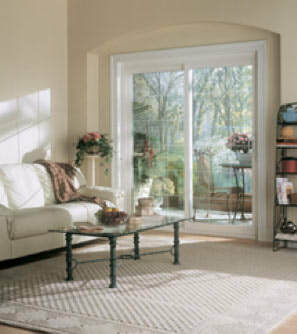 For the best in Atlanta replacement doors and windows, TrueSource and Revere are the perfect team.